If you plan your honeymoon with Luxury Adventures to New Zealand, Australia or the South Pacific you’ll begin your married life in one of the most beautiful and romantic parts of the world. Our team can take all the stress out of planning your big day and or honeymoon by arranging something special and unique such as a heli wedding in a stunning alpine or beach location, quaint lakeside chapels, dramatic, stunning and scenic locations – the South Pacific has it all! More information on New Zealand weddings can be found on our weddings blog specifically written for anyone wanting to elope, or contact our team directly. Whether you choose to get married at home or overseas; the South Pacific is a perfect place for a honeymoon and a is a unique experience that’s filled with everlasting memories. With everything to offer from adventure to spa treatments, stunning scenery, outstanding cuisine and world class wine, mountains, lakes, beaches and more. Arranging a wedding can be stressful and take up a lot of a couples time, a honeymoon is a once in a lifetime trip so it’s important you get it exactly right and this is where we come in… our team will ensure you arrive at a honeymoon that ticks all the boxes. All we need to know is a little about you as a couple, what are the types of things you enjoy doing together and individually, along with intended travel dates. We can either discuss this over the phone or via email and below is a sample of the types of information we like to obtain from our clients in order to tailor an itinerary. – How long do you have for your honeymoon? We recommend at least 10 days – 2 weeks. This will give you enough time to experience 3-5 key destinations and associated experiences. – Where and when would you like to spend your time, or perhaps the bias of your time as its sometimes difficult to know exactly until you have a rough itinerary mapped out? Figure out your must visit locations/destinations and go from there. Sometimes after speaking with us people change their ideas when they find out the must see destination they had in mind wasn’t going to offer them what they first envisaged due to time of year, seasons or other factors. We’ve written another blog about information you should know when travelling to New Zealand that covers seasons, the best times to visit, flights, driving etc. amongst other important gems. – What’s your travel budget? This not surprisingly is the ultimate decider of not so much where you’ll go but certainly where you decide to stay and what experiences you’ll end up selecting. Our article on travel budgets goes into detail about general costs and what you can expect to spend overall on your south pacific trip. – What type of accommodation would you like to stay in? Hotel, luxury lodge, boutique property, private villa, glamping? Or you may have already narrowed it down to particular properties or brands which is even more helpful for us. Again we can advise and make suggestions based on your brief and expectations. Once we have this information we can begin planning a tailored itinerary for you. Remember our staff have stayed in many of the properties we offer so can speak from personal experience. Many couples like to mix things up a bit, spend half their honeymoon with the things they enjoy as a couple, perhaps hiking, wine tours, horseback riding, sailing, massages, private picnics, picturesque walks, romantic dinners, almost anything is possible; or something more adventurous and unique to New Zealand or Australia such as a jet boat ride, white water rafting and remote hike, cycling the vineyards, hot air ballooning, heli-skiing or an exclusive mountain helicopter trip. It’s important to let us know what you would like to experience not solely for the enjoyment of your honeymoon but the activities you choose can also have a major influence over the locations you end up visiting. Your imagination is the only limitation here – let us know what you’ve always dreamed about experiencing down under! Having performed a reasonable amount of private guiding in the early days of the business I have first hand experiences with many of the activities on offer and along with the other luxury travel specialists in our team it’s quite possible we’ve personally tried many of the activities available. 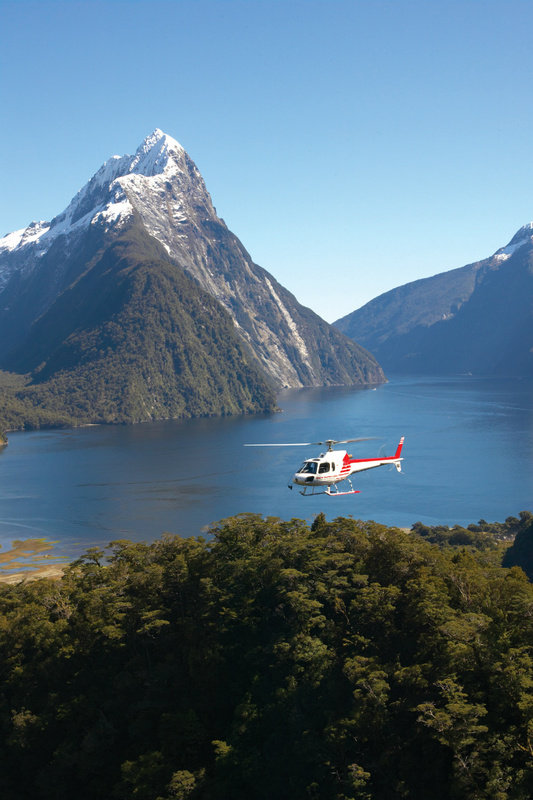 To assist you further we’ve also put together our current list of Top New Zealand Experiences based on our own and guests first hand experiences. – How do you plan to travel around the country? You have a few different options here; apart from the longer legs where you can choose from a commercial airline, private plane or helicopter you will need to decide on private vehicle transfers vs self drive. You can read more about these options in the aforementioned article which goes into detail about this. As a general rule private transfers are considerably more expensive than self driving and comparable in price for both Australia and New Zealand. Generally for a honeymoon couples spend a considerable amount of money (relative to the individuals), therefore its paramount you get it right and make it as perfect as possible. After all you want to get off on the right foot! Luxury Adventures have been creating honeymoons now for many years and have some really wonderful and unique ideas. 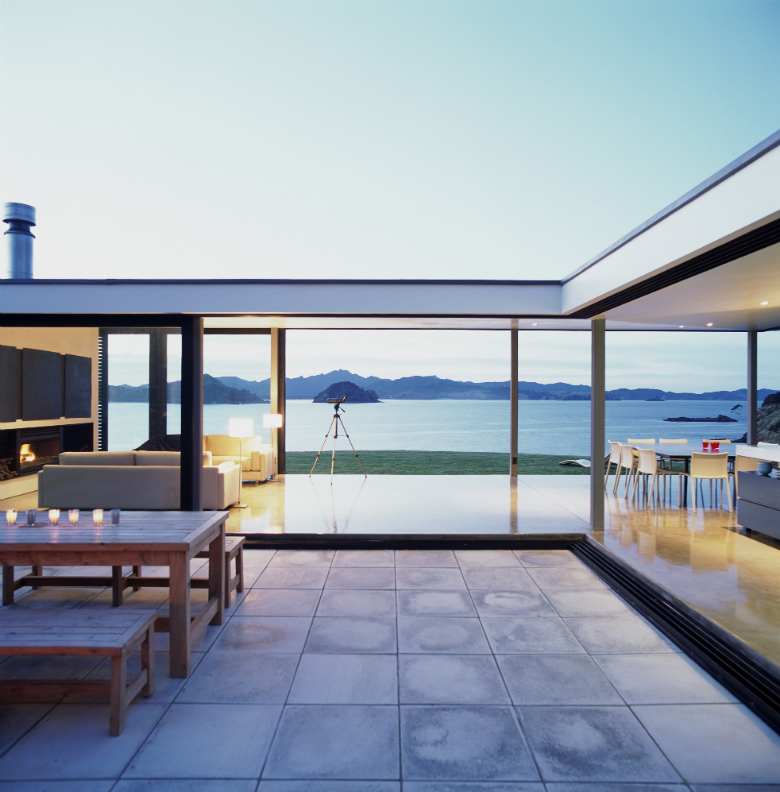 Here’s a few ideas to wet your appetite; We have some very special romantic accommodation options, for example the five star luxury Marlborough Sounds retreat The Sounds Retreat is a perfect New Zealand honeymoon location, you’ll have exclusive use of the property, with the hosts Tony and Anne creating wonderful and romantic meals, enjoy a private couples massage, soak up the amazing views simply relax and enjoy each other’s company. For something really unique a private luxury tent at Minaret Station, Wanaka which is only accessible by helicopter, here you can hike, explore, fish, hunt, enjoy alpine picnics. A truly private and romantic alpine chalet experience at Whare Kea chalet, again the only access is by helicopter and we can arrange a chef to create a special and romantic dinner for you at the chalet. Relax in your own luxury private villa at Azur Lodge, Queenstown, have a private dining in your villa or let us recommend a romantic restaurant. Stay in a Tree House at Hapuku Lodge, go off the grid with a PurePod, and sleep under the stars, what could be more romantic! Previous honeymooners have enjoyed private dining in the wine cellar at Huka Lodge, private pink beach picnics at Kauri Cliffs, picnics on the lawn at Blanket Bay, Queenstown. We can arrange a champagne picnic for two on a mountain top or glacier or a wonderfully romantic and serene hot air balloon ride. Take a 4WD into a high country station and be the only two people for miles, drink champagne and soak up the views. How about something really memorable like a tandem skydive or bungee jump – nothing like mutual trepidation to create indelible memories! 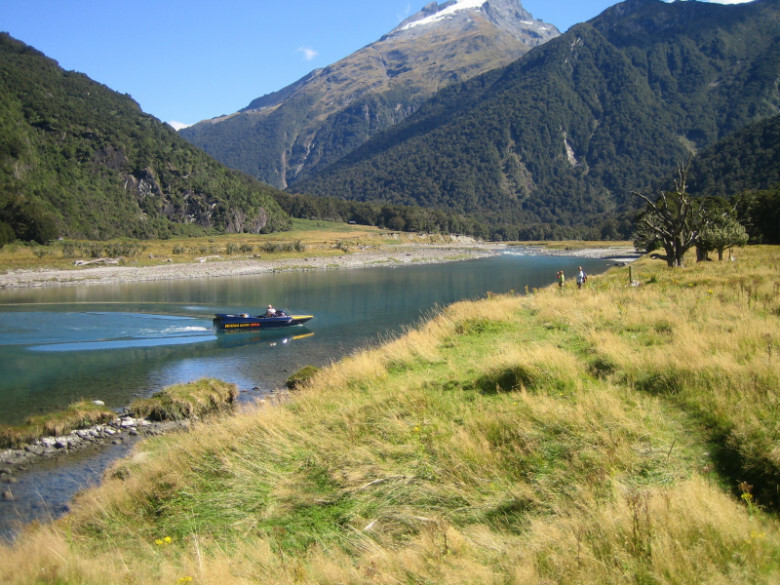 Other clients have chosen to spend their time hiking in the New Zealand wilderness, at one with nature, taking in all the splendour the New Zealand outdoors offers, just the two of you and a guide, or without. We can arrange accommodation along the way in anything from tents, to ranger huts or luxury lodges. 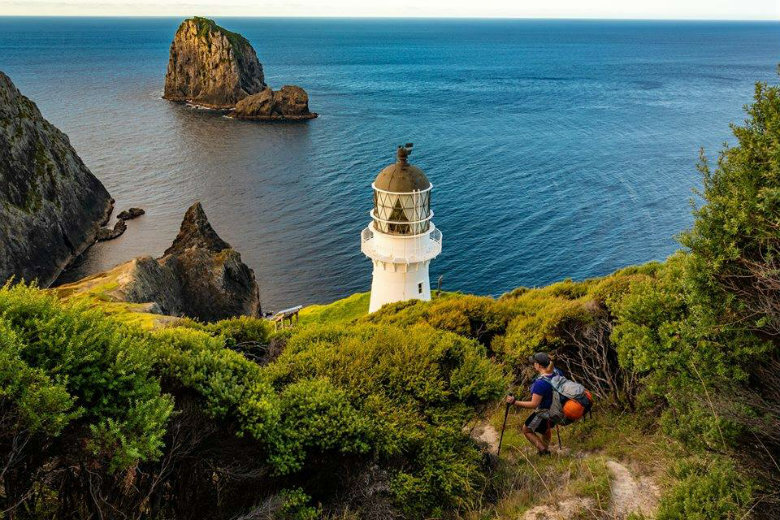 Perhaps take a kayak out to a secluded beach, with or without a private guide, see seals, penguins and other wildlife along the way, drop anchor at a secluded beach for picnic lunch, a swim and sunbathe. Grab a couple of bikes and explore the vineyards of the Hawkes Bay, Central Otago or Marlborough. A guided hike to a quiet secluded waterfall on a tropical island in Tahiti or Fiji, dive or snorkel with stingrays or sharks. Shop up a storm in Sydney, Melbourne or Auckland and wine & dine at a long list of word class restaurants, eateries and bars. Depending on the time of year a great opportunity and one many honeymooners enjoy is to have a twin destination honeymoon with a more active start in New Zealand or perhaps Australia with activities and tours, and spend the last part of your honeymoon relaxing on a South Pacific beach, either in New Zealand, Australia or one of the Islands such as Tahiti, Fiji or the Cook Islands. This does depend on the time of year and our team are happy to make recommendations. Hopefully the above gives you an understanding and some ideas about honeymooning in the South Pacific. How do our previous honeymooners feel about us? Take a look at our testimonials page and find out for yourself. Editor’s note: This blog was originally published in April 2013, and has been updated for accuracy, and currency. I am planning my honeymoon for Feb 1st week in 2015 and I am looking at new Zealand.can you help us plan the same. Hi Yohan, yes we can certainly help you with your New Zealand Honeymoon and I have sent you an email. Regards Tony. We are having trouble working out what we’d like to do for our honeymoon in March/April 2015.. Originally we were looking Maldives/Cook Islands/ Fiji type holiday but recently we have been thinking we might get more bang for our buck in NZ. Can you please help us? We like a bit of adventure, good food, original experiences, luxury accommodation, relaxation. Is it expensive to do a NZ/ Cook Islands or Fiji combo? We have around 2 weeks. The Maldives and Tahiti would be at the top end budget wise generally speaking. Then would come Fiji with the Cook Islands being the most economical of those destinations for a luxury honeymoon. Adding New Zealand in creates a high quality diverse honeymoon with many possibilities in terms of experiences, accommodation choices etc. With regards to expense that really comes down to what your budget is for the honeymoon? I will send you an email and we can narrow down what the cost would be for those destinations based on your budget. I am looking at having my honeymoon in New Zealand in end March 2015. Will you be able to help us plan? Hi Vin, yes we are able assist you with planning your New Zealand Honeymoon and someone from Luxury Adventures will send you an email with further questions. Regards Tony. We are looking for a one week anniversary trip to NZ at end of Feb to beginning of March. Can you please help us plan? Hi Amanda, We sure can help you plan this out and I have sent you an email with some questions. Look forward to hearing from you. Thanks, Tony. Hi I was wondering if you could give me an idea of cost for a honeymoon in New Zealand and Fiji in in December 2015! We have been thinking about New Zealand for our honeymoon around mid June 2015. Could you please let us know the options and how much would it cost for a week. Hi, we are planning for a honeymoon sometime in May 2015. Not sure why exactly we zeroed in on NZ, but somehow did it. Can you help us plan the trip? Looking to book a honeymoon in Australia and New Zealand we have a lot of hilton points we would like to use for hotel stay. Could you help us? Hello, I am planning my honeymoon for Feb 1st week 2016. Can you guys hello with NZ. I am too confused on what all to cover. Planning to mix romantic and adventurous stuff. Hope you can help! Cheers. Yes we can help you with your proposed New Zealand honeymoon and will email you today. Its true there are a lot of options, so narrowing down the list of destinations that suit your requirements is key. Looking for honeymoon trip in jan end for 12 days. Thats a good time in New Zealand if you’re interested in spending time around beaches. The end of January signals the finish of school holidays, so beaches and holiday locations tend to be quieter as most kiwis are back at school and work. We will email you with further questions about your planned honeymoon. Hiiiii ..i am planing for my honeymoon from 23rd of july for a week with a good price … can you help me please ? Yes we can help and will email you shortly with questions about where you would like to spend your honeymoon week. Hi, I am planning a honeymoon in mid December. We were considering doing New Zealand along with some other place but am confused between Fiji/Cook Islands/Tahiti Islands. Could you please help me with the costing for each of them as well, and how to go about planning NZ as well. I would firstly suggest deciding on a time frame for your honeymoon i.e. how long will you spend in NZ and how long at a particular South Pacific Island? This combined with your budget will help to answer some but not all of your questions. Other considerations are where you will be travelling from and returning to as this can have some bearing on whether you choose Tahiti (which is further from NZ) over Fiji or the Cook Islands. Where to spend your time in NZ depends on what your interests are and what you would like to see? If you are generally sightseeing and wanting to experience the best parts of New Zealand in a week to 10 days then I can recommend these destinations; Queenstown/Wanaka, Fiordland, Rotorua or Taupo, Auckland (you will most likely transit through here) and possibly Northland or the West Coast of the South Island. I would pick 3-4 of these and again this is entirely dependant on your objectives and interests and we can help match these with the right destinations for you – of course there are numerous others! Regarding the South Pacific Islands they are all very nice with similar climates and excellent resorts but some differences are. Fiji and the Cook Islands are the closest to NZ. Tahiti and Fiji have the greatest section of ‘luxury’ resorts but do command a premium tariff with Tahiti being the least affordable. The Cook islands are the most economical choice of the three in a luxury sense. If its over water bungalows you’re after then Tahiti offers the most choice. You will cross the international date line when choosing Tahiti or the Cook Islands (when travelling from NZ) with Fiji on a similar time to NZ. I hope this information is useful and again we can help match the best South Pacific destination/resort for your honeymoon. We will send you an email with further questions. Don’t leave home until you’ve seen the country, I think the saying goes! We can plan something out for you with the inclusions you mention. Jan 2 is peak time meaning availability and choices can be less along with nightly tariffs being generally higher, so something to consider. To get around this we recommend booking well in advance or adjusting dates slightly so as not to coincide with Christmas (not in your case) and new year dates if possible. We will email you with further questions to get started. Yes we sure can and we will email shortly with further questions about your honeymoon. Could you help me plan a honeymoon to Australia and NZ for 20 days approx. First week of jan is when we leave from India. We’d like less of sightseeing and more of adventurous activities, good food, social parties, etc. We can help you plan your honeymoon to New Zealand and Australia. Tailoring activities to your personal requirements is also no problem. Just bear in mind that whilst it’s a great time to visit New Zealand and most of Australia, its the tropical rainy season in Queensland, particularly Northern Queensland including the Great Barrier Reef. It’s not to say that you will definitely get rain or storms but your chances are greatly increased at that time of year, something to keep in mind if you were planning to visit that region. The weather below the “Tropic of Capricorn” in areas such as Sydney, Melbourne, Adelaide, Tasmania, etc. and all of New Zealand is ideal at that time of year. Its also a good time of year to socialise and party in the larger cities and centres such as the above in Australia and in New Zealand; Auckland, Queenstown, Wellington and Christchurch. 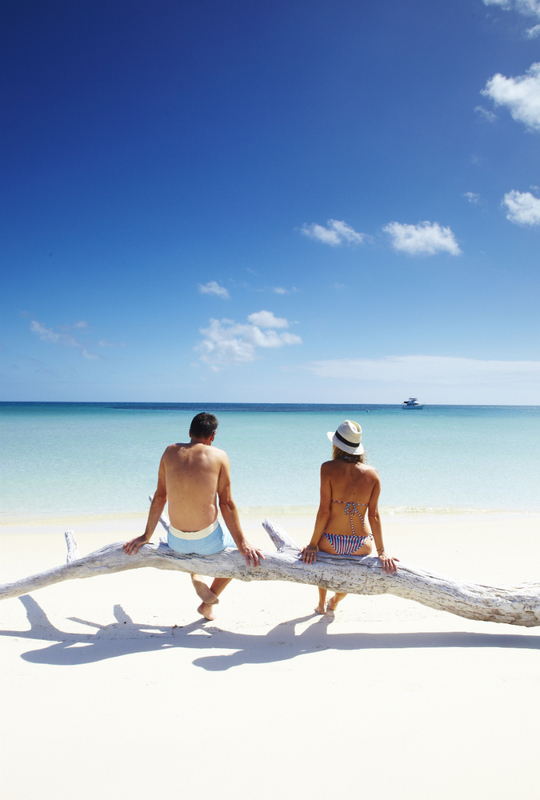 We’ll be in touch today via email with detailed questions to get started on planning your honeymoon!